Truly, Surigao del Sur will not disappoint you with surprises. I have visited several rivers in Luzon and Visayas and I thought I have seen the best river until I got accidentally invited in Hinatuan, Surigao del Sur in 2011. 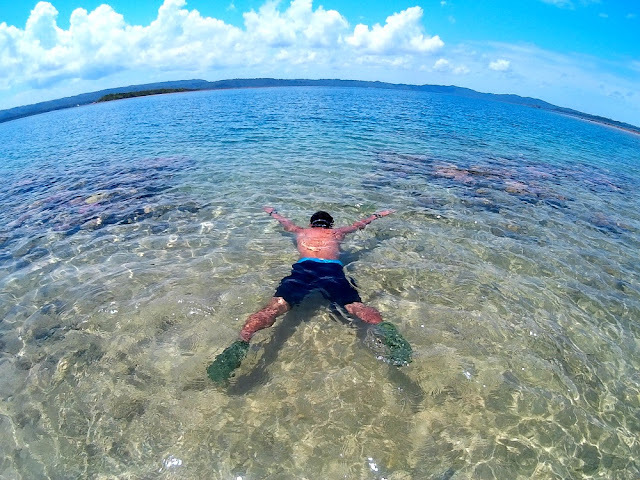 Hinatuan is a sleepy town in the southern part of Surigao del Sur and about 50km away from Bislig City. The town is currently facing future environmental destructions due to heavy extraction of mineral resources in the area. Hinatuan is blessed with marine resources thus, the livelihood of the folks is fishing aside from quarrying/mining . My trip to Hinatuan was included in the Surigao del Sur package tour that includes Tinuy-an Falls, BritaniaGroup of Islands and Cagwait White Beach. After we were all exhausted doing our stunts of picture taking at Tinuy-an Falls our group leader decided to roll towards the Enchanted River. I had no idea where we were going. I just thought the river would be somewhat like Loboc or Bojo River where we could take our lunch. Upon reaching the place, I thought there was some kind of trouble due to the commotion inside the picnic area. A lady told me that it’s already “feeding time” since 12 already hit the clock. Huh? Did not make sense at all. So I hurried to where the people are. The words AMAZING, GORGEOUS,and MAGNIFICENT raced at the tip of my tongue after witnessing the crystal turquoise blue water of the river. I just can’t believe it at first. The river became more ENCHANTING because of the SCHOOL OF BIG FISH that appeared from the depth of the river ,and being fed enthusiastically by awed first time visitors. The feeding was accompanied by a soft recorded music played by the resort operator. According to the locals, fish swam out from the depth of the river every 12:00 noon and 3:00 in the afternoon which add up to its enchanting beauty. I couldn't wait to jump to the crystal blue water but my stomach growls out of hunger so we head first to the adjacent mini-seafood market for lunch. The prices were far cheaper compared to a regular market. What’s amazing about this seafood market was, all products were fresh and you can request from the seller to cook it for you for a standardized minimal fee . By the way, you cannot buy plastic bags for your take out in the area as plastics are prohibited in the vicinity of Enchanted River. They are strict with the segregation of wastes and there is a Material Recovery Facility (MRF) installed inside the resort. Clap clap clap! After we had a wonderful MARINARA lunch, we hit the cool crystal water of the river amidst the overcrowded visitors. Jump here, jump there. Picture here, picture there. Coming from Butuan City , take a bus at Butuan City Central Bus Terminal bound for Mangagoy. Hinatuan is a 4-5 -hour bus ride (Bachelor Bus) . At Hinatuan, you can hire Habal Habal going to Brgy. Talisay. Habal Habal rental varies depending on your haggling technique but usually it costs Php50.00 per head for 6 persons. So it is advisable to include Enchanted River trip with your Tinuy-an Falls adventure to reduce travel expenses. For backpackers it is recommended to hire a habal habal in Bislig City. Usually the driver would ask for more or less Php1000 for the Tinuy-an and Enchanted River trip. This is the perfect venue for you to practice your bargaining skills. Coming from Bislig City, Hinatuan is more or less two hours habal habal drive or 1.5 hours if you have a private car coming from Tinuy-an Falls. The place couldn’t be missed because of the large “pylon” sign placed on the right side of the road leading to Brgy. Talisay. The road is still unpaved covered with crashed limestone gravels, so expect a bumpy ride. From there it took us about 20-30 minutes to Enchanted River. For the complete guide for Tinuy-an Water Falls, Enchanted River, and Britania Group of Islands check it in this detailed instruction. this reservation cast a spell on me..
been in this place twice and want more hehehe. 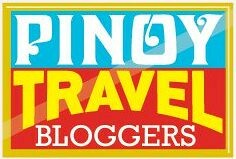 congrats sa blog mo dencio. true and we have to protect and preserve what is left in Mindanao... this is the land of promise for the Filipino people . I wish to be able to visit Mindanao places too. Will check some of the packages online, soon. I'm now enchanted by this place and the crystal clear water with those school of fishes would be such a wonderful sight. 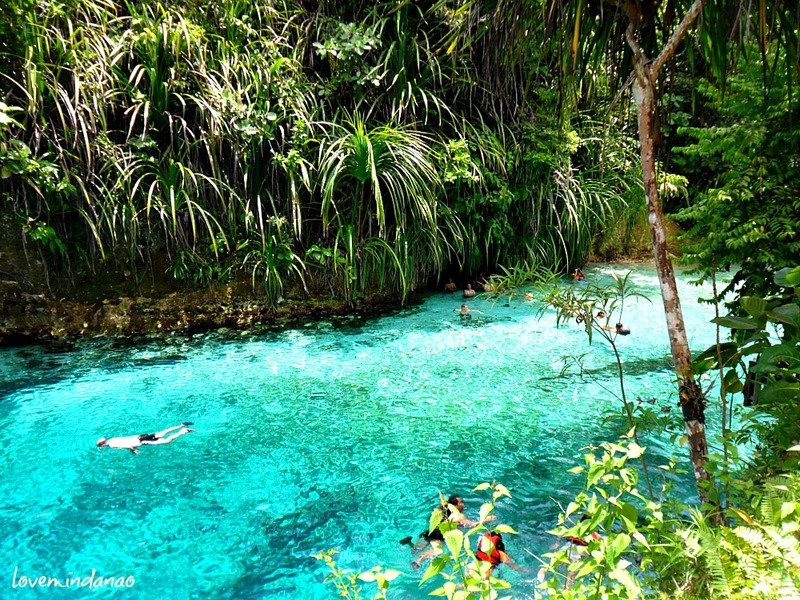 Thank you for giving me another reason to include Surigao into my must-see places.. I was definitely swoon over by your river photo.. and yes, it was more than amazing!! Love to taste some of their seafood specialties. Looks likes a great place to stay! wow, suits the name... i'm adding it to the list of places i want to go to... thanks. Yahweh bless. this is so amazing, you are leaving me breathless and so excited, wish i can go there soon. Stunning! Seriously, this place looks really amazing. Parang nasa Wonderland lang talaga. Stunning photos. A place wirth visiting talaga. I already booked to visit this place on December. Yahoo! That river looks fantastic with all those little fishies! It won't be a surprise if a mermaid popped out of there somewhere. Okay, maybe a little bit of a surprise. Haha!